Place your License with the Leading Real Estate Referral & License Holding Company. Join our 750+ Active agents who live worldwide and earn a portion of the real estate commissions off real estate transactions internationally. 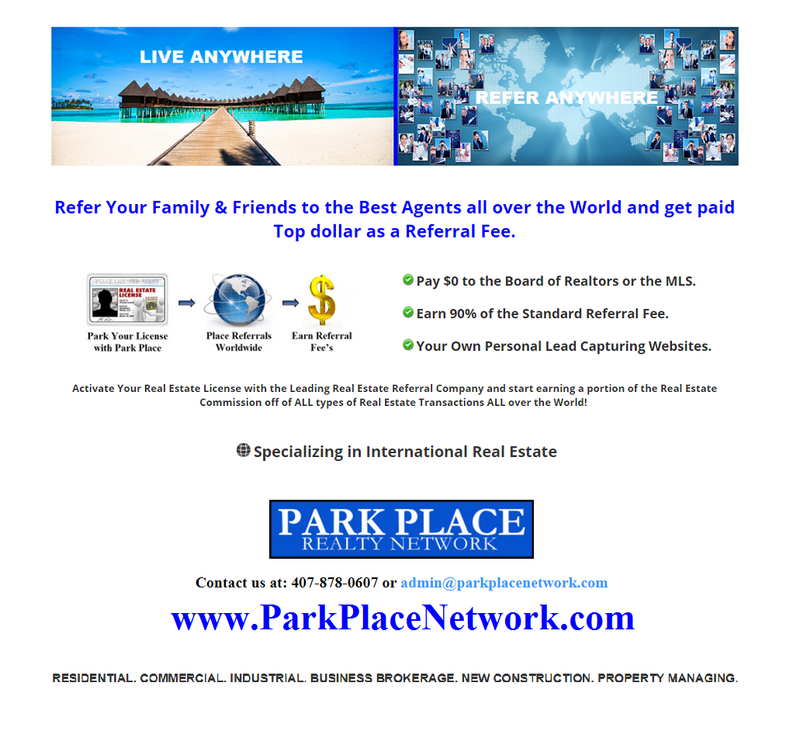 Go to our website www.ParkPlaceNetwork.com to get your free sign up packet.